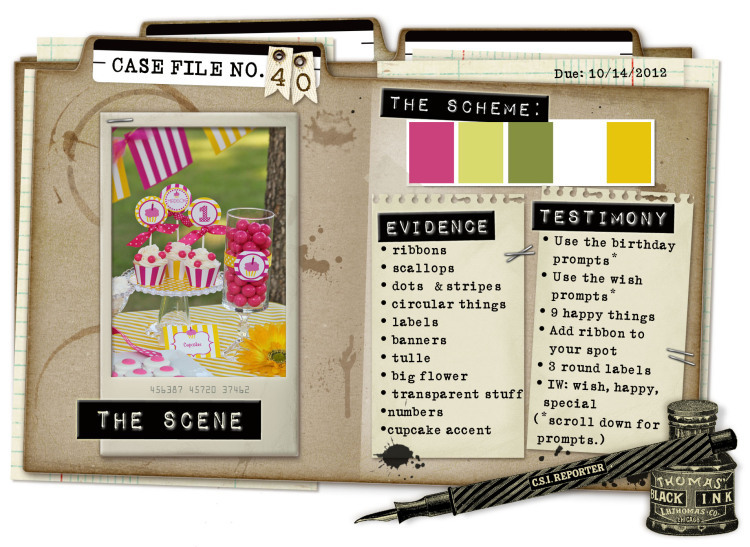 Gorgeous happy colours for Case File#40 over at CSI - the Gallery is just mouthwatering this week! The Evidence: ribbons; scallops on the lace; dots and stripes; circular things - acetate frame, buttons, doily, word spot, acetate waste bubbles, sequins; banners; big flower; transparent frame and buttons; numbers - date cut from Coordinates. 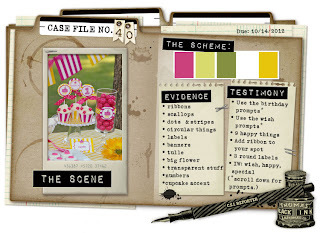 Right, off I go to upload this to CSI - go and have a look yourself if you haven't already - it's an inspiration!